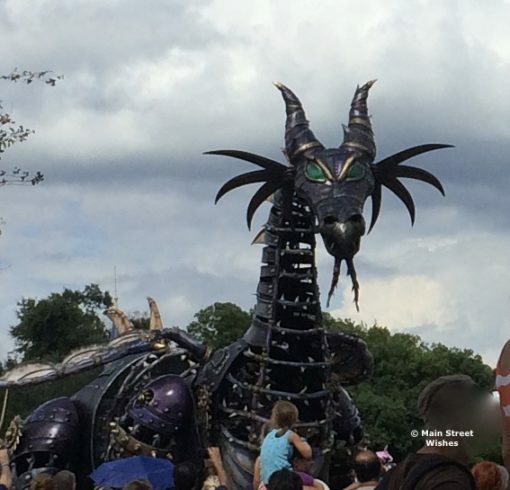 Back in May of 2018, during the Festival of Fantasy Parade at Magic Kingdom, the Maleficent dragon caught fire. So it’s been a while since we have seen her, but yesterday she made her grand return. Disney fixed up the dragon and added some extra safety features to make sure there are no more malfunctions like what happened in May. She looks pretty much the same though, with Disney keeping the original Steampunk style. Needless to say, guests were pretty excited to see her in the parade again. Check out the clip of her return in Disney’s video below. The Festival of Fantasy Parade happens daily at 3 p.m. in Magic Kingdom and the parade tells the stories of the characters from Fantasyland. During the parade guests will see favorite characters like Cinderella, Belle, Tiana, Elsa, Anna, Rapunzel and Flynn Rider, Ariel and Sebastian, Peter and Wendy, Merida, and more! There are quite a few characters and fun designed floats to see during the parade. Guests tend to claim spots for the parade early. So if you definitely want to see the parade and have a good viewing spot, I would start looking for a spot an hour or so before the parade starts. If you want to be guaranteed a good viewing spot you can purchase the Festival of Fantasy Parade Dining Package, which will give you access to a VIP viewing area for the parade. 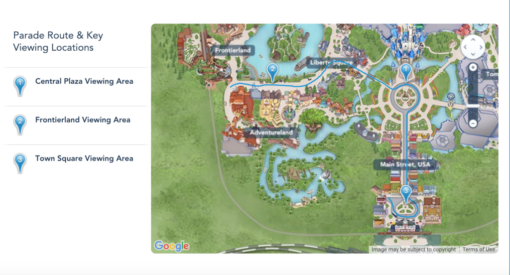 On Disney’s website they show the route of the parade and also give locations for key viewing areas. Are you excited to see Maleficent back in the parade? Love this parade can’t wait to see it! The clip was great, music in the parade is awesome! When choosing a spot I always like to know where the parade will start, do you know if this starts on Main Street and ends in Frontierland? Thank you for all your info, look forward to it each day! The parade starts in Frontierland and ends at the end of Main Street U.S.A. 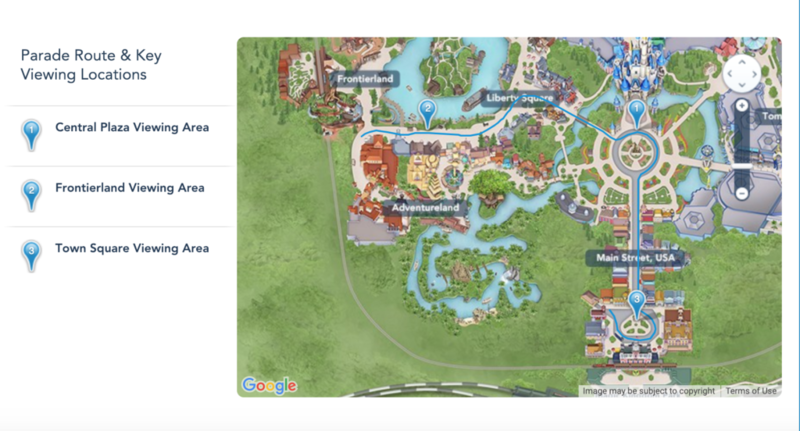 So if you watch from Frontierland you will see the end of the parade first and be able to get to other rides an attractions while everyone else is still watching on Main Street.